On Thursday night we bought some really nice leather furniture, a sofa and loveseat. I really wanted microfibre, in fact we alreay kinda bought some at the brick. But Smitty's delivers and it is way better quality. We still spent more than we wanted to though. Oh well, it is gorgoues and will last us a long time. We found out on saturday night that we are getting to buy the trailer we live in for the price we want, so on sunday we started moving stuff out. We also got rid of our hideous couches, that kind of came with the trailer. We donated them to the youth, not because they are ugly, but because the youth need it more than the RM of Bifrost dump does. Our house is a crazy mess right now. 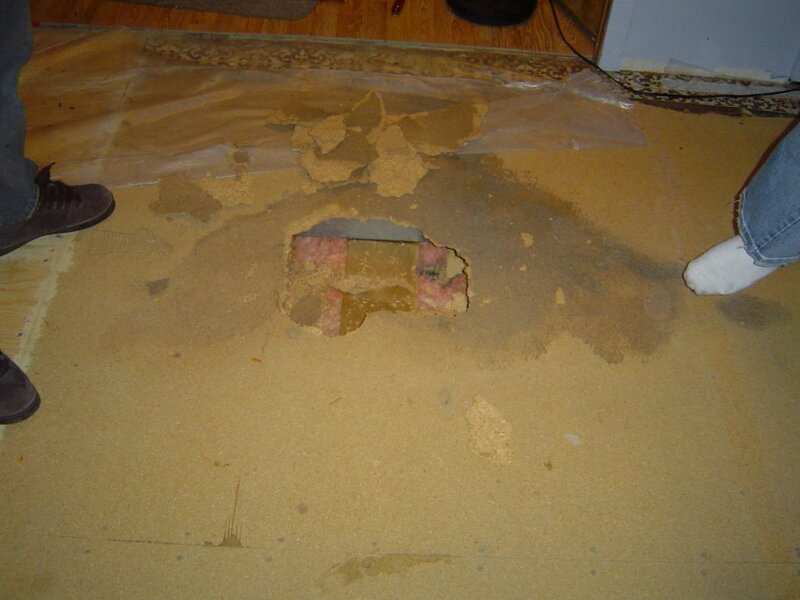 For weeks weeks we have had this hole is the floor. 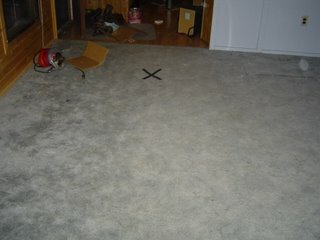 We use to have a box over the spot, but it looked to bulky, so we put a "X" out of hockey tape on the floor. Bad idea... the only thing that "X" makes me want to do when I walk by it is step on it, really hard, not avoid it. 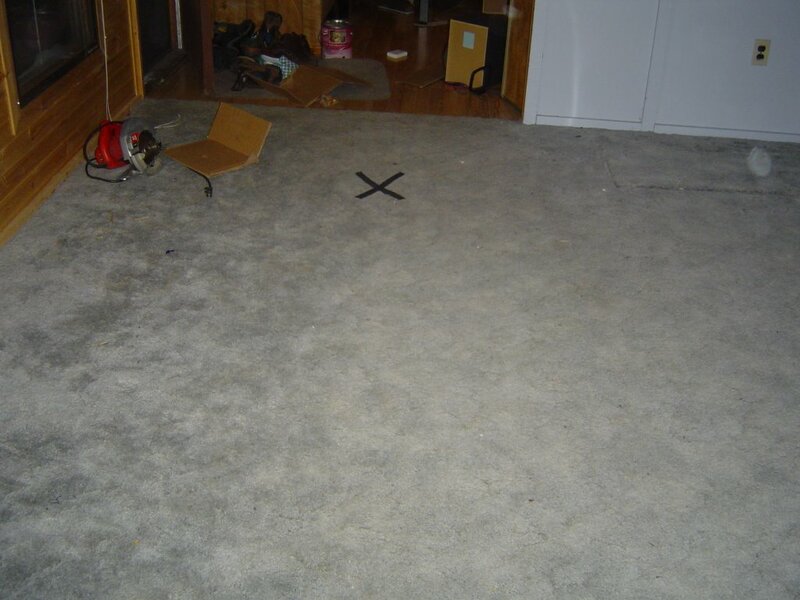 Today we are going to Pheonix Lumber to get some plywood and underlay and laminate flooring to put in there. We are also painting it mmmmmm.... chocolate milk brown!! It is so nice. I will post some before and after pictures later.! I wanted to see the leather furniture!!! Way to buy your first place you guys! It's nice to get out of the rent rut, and I can honestly say, the sooner the better! We spent way too long renting. I hope you guys can get that floor fixed before someone falls through there!